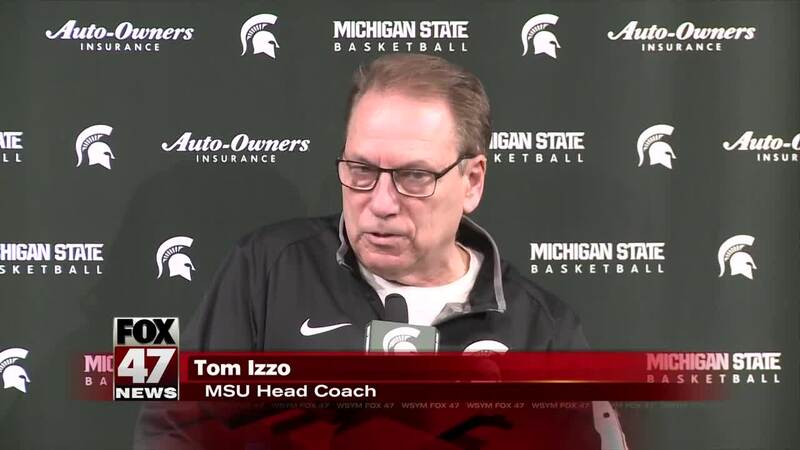 EAST LANSING, Mich. — It wasn't about what Tom Izzo did this season with Michigan State Basketball. It was about who he did it with, and how that made him see his larger role at Michigan State University. "It seemed like everybody added something, which is great, when you can do that with a team," he said. It was a season full of adversity for Michigan State, highlighted by the lows of injuries and the highs of reaching an eighth final four. For coach Tom Izzo, his players are what made the season a memorable one. "I think we needed to bring our university together and those kids did more than just win basketball games, and for that I will be eternally grateful because you've set some standards on the court, but you've set some off the court...This team made me feel good about what I do and who I am, who I can impact and how I can help." Izzo said that while it might not look like it, this group of kids added another few years to his time at Michigan State. "My players don't know it. It's either a good thing or a bad thing, but they're going to have me around for a while."